CircleProgress contains CircleProgress, DonutProgress, ArcProgress. It is inspired by NumberProgressBar and CleanMaster. materialish-progress is a material style progress wheel compatible with 2.3. A simple LoadingView for Android with animation. Custom view with pretty progress indicator. Loading view with pretty animation. Android-RoundCornerProgressBar is a colorful progress bar with round corner on progress which you can customized. 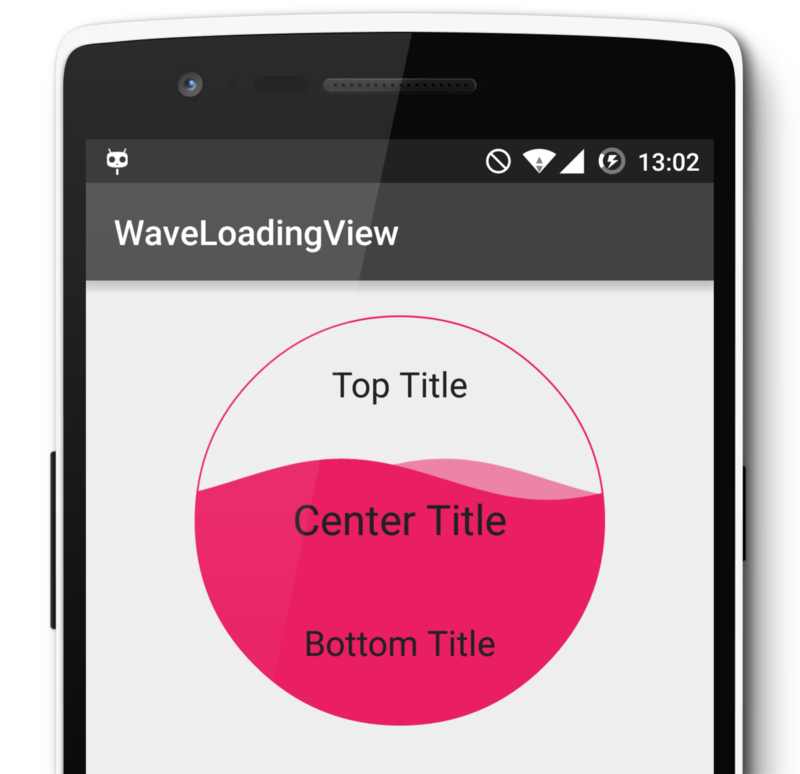 WaveLoadingView - An Android library providing to realize wave loading effect. Android library to display different kind of google related animations for the ProgressBar. A wave view of android, can be used as progress bar. Material progress circle to wrap around any FloatingActionButton. 100% Material Design guidelines from Google. Sometimes you don't have enough space in your layout to display a wide progressbar. So this library gives you a complete new possibility to display a progress. You can simply show a progressbar around an image. This progressbar can be configured in a lot of different ways, like color, outline, display of the percentage and so on. An implementation of ProgressHUD for Android, similar to MBProgressHUD, SVProgressHUD. Loading is a library project with kinds of Android loading views. An animated circle loading view. This is an Android project allowing to realize a beautiful circular fillable loaders to be used for splashscreen for example. 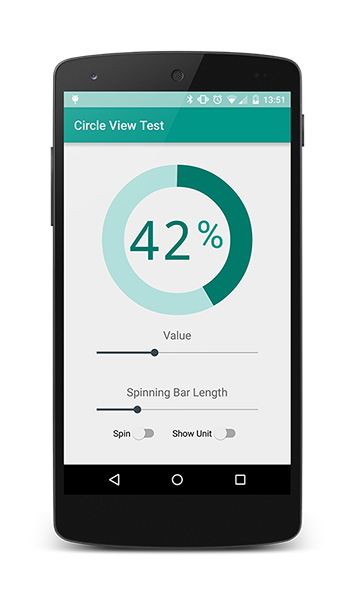 An circle view, similar to Android's ProgressBar. Can be used in 'value mode' or 'spinning mode'. This Circular Progress bar is a designed and made for music players that need beautiful music progress bar.